Gary Gielow and James Gabbert were the pioneers in the 1950s who developed and introduced FM stereo and FM Multiplex stereo to the San Francisco Bay Area. 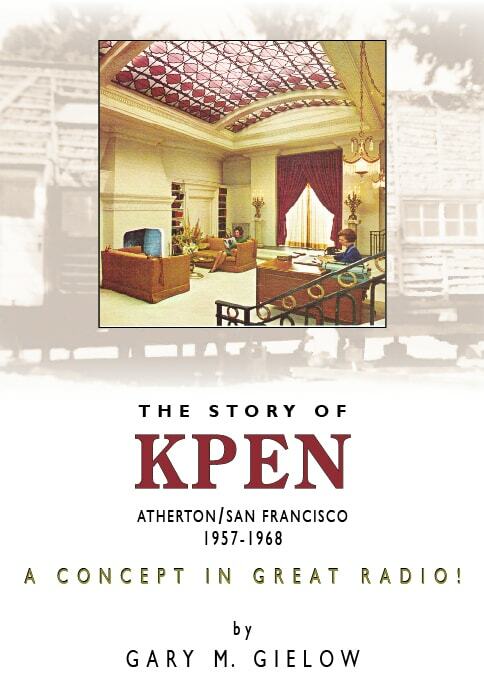 KPEN was full of many innovations in technonogy and programming and proved to become the powerhouse FM station in Bay Area for many years. Please support CHRS by purchasing this informative and interesting book. 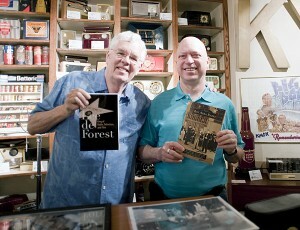 CHRS is the sole distributer of this book and 100% of monies raised are being donated to us by Gary Gielow. Thank You Gary! The “Story Of KPEN” by Gary M. Gielow. CLICK HERE TO ORDER NOW. Only $23.95 including shipping. New books have just been published by three of our CHRS History Fellows. Bart Lee has just edited and had published the Will Rayment Autobiography. 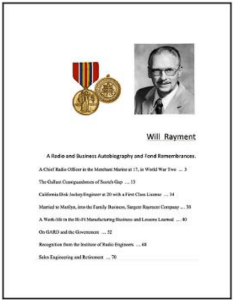 It is described: “Radio Autobiography of Will Rayment from WWII Chief Radio Operator in the Merchant Marine through Sargent Rayment Company and the California Radio and HiFI Industry through the 20th Century.” Will is a CHRS Herrold Award recipient. Order online. 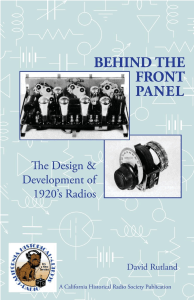 Two others are also in print: Lee de Forest, King of Radio, Television, and Film, 2012, Springer Science, written by Mike Adams, and Bay Area Radio, 2012, Arcadia, written by John Schneider, are available from Amazon.